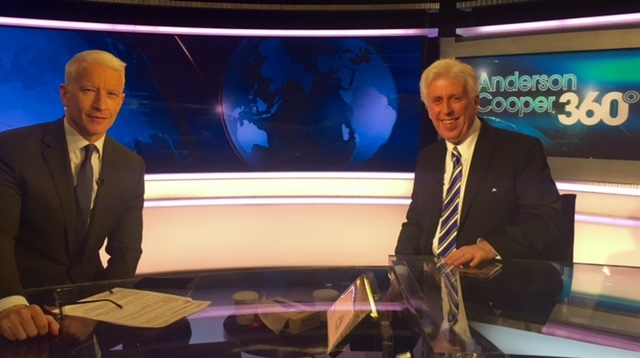 Over the last year, Jeffrey Lord ’73 has gained a significant amount of recognition, due to his frequent appearances as a political commentator on CNN. Lord, an avid supporter of Donald Trump, has contributed to some of CNN’s most memorable political discussions on television, which include a number of heated debates with many of the more liberal commentators like Van Jones, Charles M. Blow, and Paul Begala. However, before becoming a political commentator on CNN, Lord had a very successful and active career in government and politics. After graduating from Franklin & Marshall with a degree in Government, Lord worked for many prominent members of Congress and went on to become an accomplished political strategist, journalist, author, and even served as a member of the Ronald Reagan administration in the White House. Before Lord joined CNN’s first presidential debate panel on Monday, September 26, I was able to have a lengthy conversation with him in which we discussed an array of topics, including: his time at F&M, the evolution of his political views and sentiments, current political and social issues, his work at CNN, his return to F&M for Homecoming this year, as well his relationship with Trump and the current presidential election. Jeffrey Lord is a political commentator on news network CNN. First off, I want to ask you why you chose to attend F&M. Well, I liked it. I liked the campus, it was great, but it was a pretty long time ago. I don’t know where else I was accepted, to be perfectly candid. That probably had something to do with it. But I really liked it, you know, I wanted to be a Government major. And it was close to home—it was about an hour from my parents in Camp Hill right by Harrisburg. I was decidedly not disappointed by F&M. The Government professors were terrific. It was not lost on me that during my career I kept running in to F&M graduates—Ken Duberstein prominently being one of them whom I met at F&M while I was president of the Government Club. 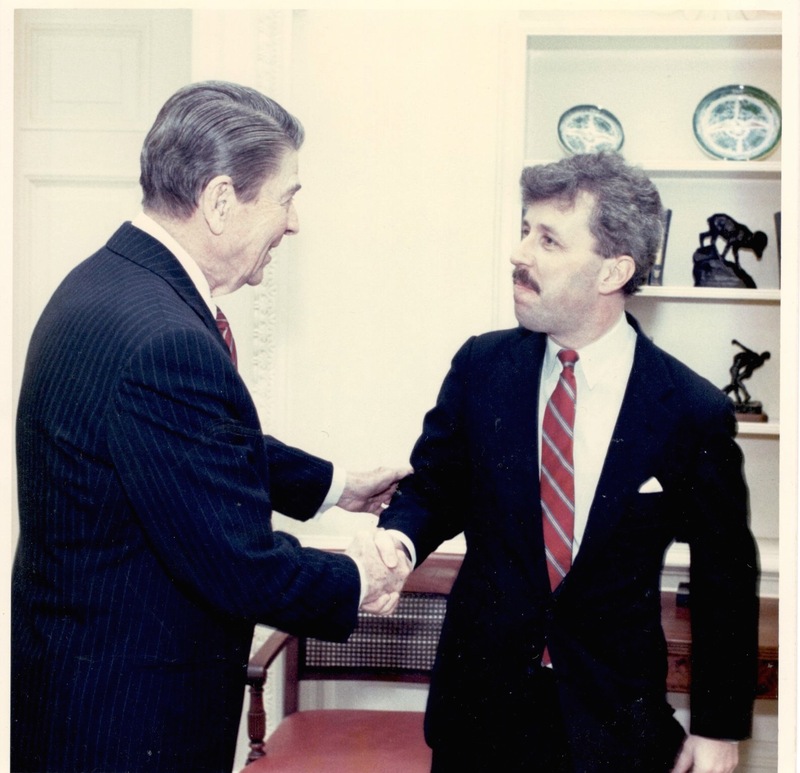 He came to speak and was then working for the GSA and later we both served in the White House together, the Reagan White House. Ken eventually became Reagan’s last White House Chief of Staff. So you were president of the Government Club? Were you involved in anything else at F&M? Yes I was president of that and I was also the president of the College Republicans, which I can only tell you in 1972 was a pretty lonely place to be. [laughs] Almost everyone on campus at that time was for George McGovern. That’s interesting because it seems as though the amount of conservatives on campus at F&M has grown. There definitely seems to be more of a mix of conservative and liberal attitudes on campus now than what you seem to be describing. Well that’s interesting because when I was there the war in Vietnam was at its peak and there were lots of protests all the time. There were meetings of the Students for a Democratic Society, the SDS, which was a radical left-wing sort of group that Bill Ayers would later be involved with or was involved with at the time. When Richard Nixon invaded Cambodia in April, it was April 30th of 1970, he was off the air ten minutes, fifteen minutes, something like that, and all of a sudden you could hear all this commotion in the Quad. People were filling up in the Quad to protest and in the ensuing days this became a big deal. And then Kent State happened on May 4th, when you know, there were riots in the city of Kent, in Ohio where Kent University is. The governor, who was very angry at this, sent in the National Guard and they had a confrontation with the students and killed four kids. And then all hell broke loose—not only at Franklin & Marshall, but all across the country and at many different college campuses. And like many other campuses, we ended the school year early. A bunch of us went down to Washington to protest, or to meet with congressmen and senators. I remember having lunch with my congressman from Pennsylvania, the 19th District of Pennsylvania. He took me to lunch at the House dining room and I also met a young congressman by the name of George Bush from Texas, who later became Bush 41. I remember writing him a note when I got back and got a note in reply—which was fairly stunning to me. So it was quite an interesting time and it was quite liberal at that point. There’s no question about it. 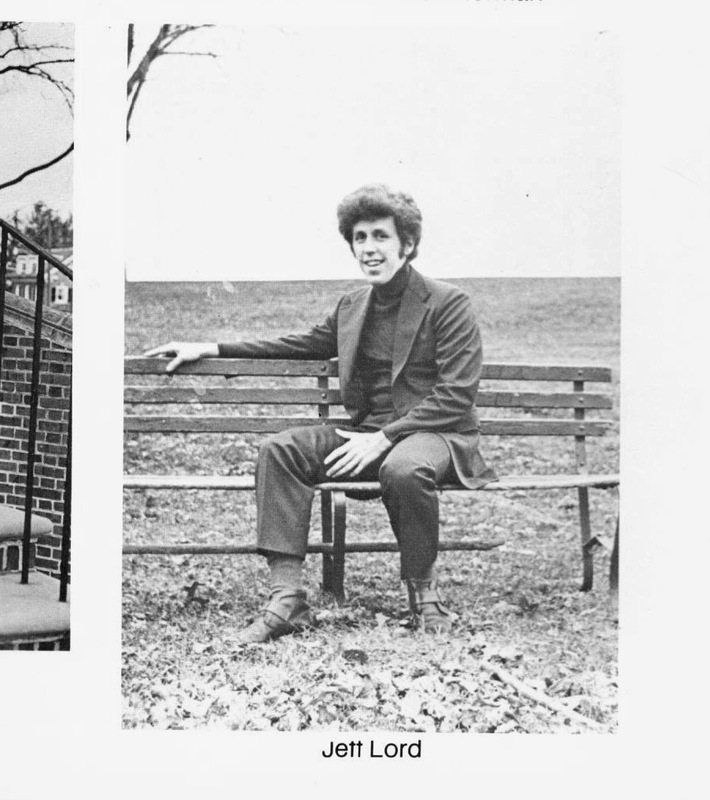 Jeffrey Lord pictured in his Franklin & Marshall Class of 1973 yearbook. Did you participate in any way? Did you ever get involved in any of the protests? Well I did in one protest. After Kent State there was a candlelight march, as I recall, through downtown Lancaster. And I participated in that. And then I also went down to Washington when there was, you know, bus loads of us going down to talk to our members of Congress and all of that kind of thing. But that’s the only time I marched was in that candlelight march in Lancaster. But I was sort of beginning my, in retrospect, my transformation to conservatism. Before I had gotten to F&M—my parents were Republicans and were very active. I grew up in Massachusetts, in Northampton, Massachusetts, and my father held Calvin Coolidge’s seat on the Northampton City Council. And he was also the Republican City Committee chairman. My mother was the chairwoman of the Hampshire County Republican Women. She was quite a force—she was being asked to run for Congress herself which she never did. But they were quite active and I was meeting governors and senators and people like that from the time I was literally in kindergarten. I was actually going to ask you about that [your upbringing and its impact on your political views]…So you knew you were a Republican before you arrived at F&M, then? Well this is the thing, we were living in Massachusetts mind you, and our United States senator gets elected president. That would be John F. Kennedy. And I had already become quite enamored with President Kennedy and became quite the Kennedy fan—and I still am, to this day. And when President Kennedy died, I became a big fan of Bobby Kennedy, who of course was assassinated in 1968. And years later when I was in the White House, I had a painted portrait of President Kennedy which I had framed and had hung on my office wall when I was working in the Reagan White House—which was duly noted at a point in the New York Times. [laughs] I had so memorized Robert Kennedy’s speeches that when then Senator Biden, who was running for president in 1987, in the set of judiciary hearings that were going after Ronald Reagan’s nomination of Robert Bork to the Supreme Court, was then being called out for plagiarism from during his presidential campaign—for plagiarizing from a British Labour Party leader, Neil Kinnock from Wales…[gives examples of the similar wording in the two speeches]. The Dukakis campaign came up with a video of Kinnock saying the lines from his speech and then Biden saying nearly the exact same thing. But so I had noticed that he had also plagiarized from a Robert Kennedy speech and had watched him do it on CSPAN. And so when they [the Biden campaign] said “he doesn’t do this,” I had contacted the New York Times and given them my Robert Kennedy records and matched his speech with what Biden had said [which is when the New York Times noted Lord’s portrait of President Kennedy in his White House office]. Then what did you think when Melania Trump copied from Michelle Obama’s DNC speech? Yeah, well, it’s never a good thing. But for Melania—it was her speechwriter that did that. And I actually know the speechwriter. I was pretty mad at the time about that. But I know the speechwriter and she’s a good person. And she’s worked for Donald Trump for years and she just apparently in her notes forgot to put the quote marks there. And that’s what she says and I have no reason to disbelieve her. But I can just tell you, it is never a good thing, particularly in this day and age, to make those kinds of mistakes. Particularly if you’re running for president of the United States, somebody out there will pick it up in a nano-second and there will be video out there in two seconds. This doesn’t involve plagiarism, but actually President Clinton was out on the campaign trail and he was going after Donald Trump for his slogan, “Make America Great Again”…implying that it was somehow suddenly racist. Well, I don’t think two hours went by before somebody found a clip of Bill Clinton himself when he was campaigning for president in 1992 saying that he wanted to “make America great again” and saying it again when he was campaigning for Hillary in 2008. [laughs] But the point is, you just need to be extraordinarily careful when you go out there, no matter who you are. 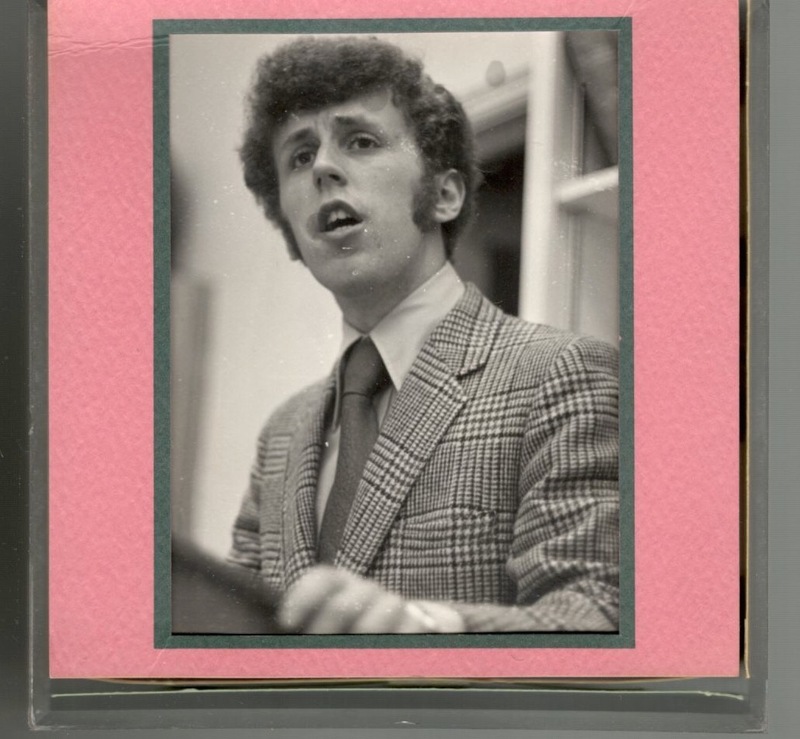 Jeffrey Lord has always loved politics. Pictured above is Lord, as a junior in college, running as a candidate for a delegate seat to the 1972 GOP Convention. Did F&M influence your political views at all? Did they ever change during that time? They actually became gradually more conservative during that time. One of the things I noticed that disturbed me was, that I also see a lot of today, but I think it was just sort of beginning when I was at Franklin & Marshall partially due to the Vietnam War, though was not only occurring at Franklin & Marshall—but one day I was sitting in the cafeteria eating lunch and for some reason, and I don’t know that we had military recruiters on campus, but for whatever reason two military people walked in to get lunch and some kid, who was sort of famously among his peers a “druggie,” had his face painted and this sort of thing, and he got up and was doing cartwheels behind them and mocking them and everything. And I have to say, I saw that and I thought, you know, “hey, this is not a funny thing.” I mean you can agree or disagree with the Vietnam War, but these are people who are out there putting their lives on the line to protect the rest of us. And to me, it was a question of values. I was picking up from some people in the day…this feeling of contempt for the values of our parents’ generation, what we now call “the greatest generation.” The people who had come up through the Depression and who had fought in World War II and worked very hard to get their kids, kids like me, into F&M to get a good education. In retrospect, I began to sense this and now, I think this is deeply overt. As a matter of fact, the other day I wrote a column about Hillary Clinton and this “basket of deplorables” thing. And I went back and took a look at the famous speech she gave when she graduated in 1969 at Wellesley, that got her national attention in the day, and in essence, it was the same kind of sentiment that I’m talking about. As a baby boomer I recognized it instantly. And I just think now this is a really big thing that has morphed into political correctness and all of this kind of thing. There’s a real divergence here in views. And when you listen to her give that “basket of deplorables” remark, what fascinated me was not that she said it, because I think she totally believes it and has believed it all of her adult life, so in essence Donald Trump has nothing to do with it, but it was the response from the audience. I mean, they cheered and they laughed. And these were wealthy people. I mean, Barbra Streisand was there. You just get this sense of superiority from them that just reeks. And I just thought, nothing has changed here…just the typical left-wing baby boomer generation. That kind of thing is what turned me gradually into more of a conservative. 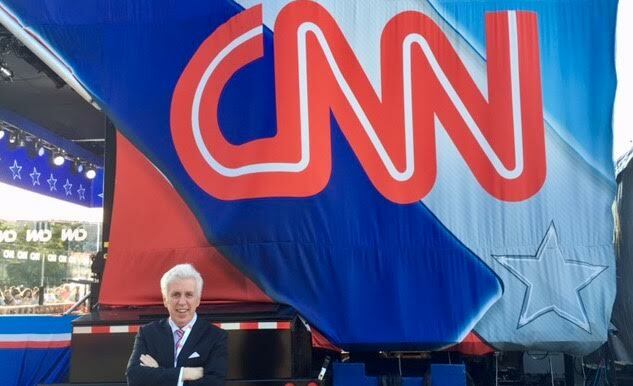 Jeffrey Lord pictured above with CNN anchor Anderson Cooper of Anderson Cooper 360, one of the many CNN news shows Lord makes appearances on as a political commentator. I want to go back to something you said earlier about Clinton and this sense of wealth and superiority. Do you not think that Trump often gives off the same attitude through the constant bragging about his wealth, etc.? I think a lot of people do view him as having a sense of superiority over others. No, I don’t, I mean I know him, and I don’t see that in him at all. I think he really identifies with working class people. And I think the reason for this, and I’ve actually heard one of his kids talk about it, is that when he was growing up his father brought him to all these construction sites and he spent a lot of time hanging out with the people who actually built the buildings, and really got to like them. And I see that reflected in him to this day. I’ve been to two Trump rallies in Pennsylvania. And those are exactly the kind of people who show up. I mean they really feel that people have taken them for granted for a very long time. They see in him their champion. That he will take no guff. That he doesn’t look down on them. That he really is one of them, like one of the phrases out there, “the blue-collar billionaire.” And number one, I think he actually thinks that way. And number two, I think people actually do see him that way, both pro and con. I think that one of the problems you have—and to some degree this was a problem for George W. Bush—when you come from the kind of background that Donald Trump comes from or that George W. Bush came from, in the minds of a lot of people who go to good schools like Yale, or Harvard, or the Wharton School of Finance, you’re supposed to be a liberal. And when you turn out not to be, to borrow a phrase that was used about Franklin Roosevelt in a different context, they are viewed as “traitors to their class.” And by class, I mean educational class. Their intellectual class, if you will. And I think Donald Trump is viewed very much that way by a lot of people and that’s why they have so much contempt for him. This past spring at F&M there was an issue on campus that we covered here at The College Reporter, in which many students felt uncomfortable with Trump signs appearing around campus and feared that these signs might be off-putting to potential students on tours of the campus. What do you think of this? Do you understand why students would feel unwelcome or not accepted by these signs or no? [Laughs] To be perfectly candid, I think it’s silly. I mean, coming from an era at F&M when signs of all kinds were all over the place. We had the protest tree…and this was covered with all kinds of signs: about the war, about race, about peace, about Nixon, I mean, everything. I mean kids while I was there were not silent, were not shy, and signs were put up everywhere about people’s political views. And suddenly now, to think that this is changed to the point that people are getting so uncomfortable…God, they sound like my parents when they saw all of the stuff going on at F&M when I was a student. To me, I just think that’s frankly ridiculous. We have a first amendment right and we have free speech. People are going to say things that are offensive, believe me, they were out in force at Franklin & Marshall when I was there. If this kind of view had prevailed in the 1960s and 1970s it would have shut down the civil rights movement, the anti-war and feminist movements. I mean I would find this a real retreat—if there was one thing I did enjoy it was the complete freedom to speak out and that they [the students at F&M] did speak out. And a lot of them were anti-establishment. I actually retained a lot of that anti-establishment view that’s merged into conservatism at this point. But, wow. If that’s making people upset, then [laughs] I just find that amazingly silly, and also dangerous. F&M has made a commitment to respond to the financial needs of undocumented students. What are your views on that then? Do you think a liberal arts college like F&M shouldn’t be doing that? Well, first of all, America, as I say often on CNN, is the one country in the world where 100% of the population is descended from immigrants. There isn’t anybody in America who is not descended from an immigrant. No one. So that’s the whole point of the country. The country is based on principles of freedom and liberty—which are color blind, and gender blind, and nationality blind. 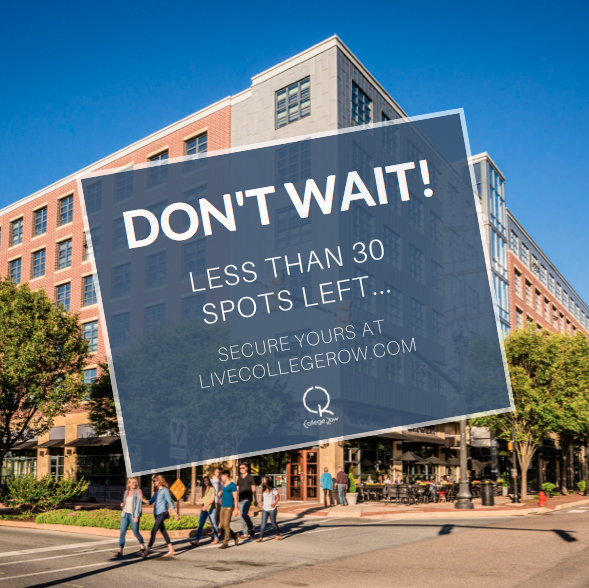 The only question at hand is—just wait in line and come in legally. That’s the point. I really don’t know anything about the F&M policies, so I don’t think it’s a good idea for me to comment. But one, just in general, Donald Trump is decidedly not anti-immigrant. All he’s saying is that the illegal immigration system is not good. It’s certainly unfair for people who are coming here and waiting their turn and doing all the right things. And two, the legal immigration system is clearly broken when you have this woman who came to San Bernardino and they didn’t even check her. She came in on a K-1 fiancée visa it’s called and they didn’t even bother to check her social media postings in which she expressed her intent to come here and commit jihad. And she winds up killing 14 people. This makes no sense. The system is clearly broken and it has to be fixed, but fixed in such a way that it gets started and people come in here and they come in here correctly, that’s all. I listen to people who are so horrified by that, but then you ask: “Well do you have locks on your doors?” It’s kind of the same thing. I mean if I put a notice in the paper that said “everybody come to Kimberly’s house at 5 o’clock, she’ll supply everything, don’t worry, the door is open,” you or whoever else there would be justifiably upset. As Trump says, this is a country and we have borders…we have borders internally, all over the place. And when I look at a newspaper like the New York Times that are so aghast by this, I can only tell you, to get into the New York Times you have to provide an I.D. and you have to go past security guards—they have borders. This is just ridiculous. So all we’re saying is, just fix it. So then we don’t get people in here who are determined to kill people. I mean this just seems pretty elemental. People have to be safe here. But so you believe their support is not reflective of the candidate at all? No, I don’t. And first of all, not only did Donald Trump denounce him as a racist and a bigot in 2000 in a Today Show interview with Matt Lauer, I mean that’s 16 years ago, he’s long been on record for this stuff. Secondly, as I remind my friend Van Jones, the Ku Klux Klan, as historians will tell you, was formed as the military arm of the Democratic Party. If you take a look at the 1924 Democratic Convention for example, which was called the “Klan Bake,” and why was it called that? Because there was a proposal to denounce the Klan and they couldn’t bring themselves to do it. And the reason they couldn’t bring themselves to do it is that so many of the delegates to the Democratic National Convention were Klan members. In today’s world, David Duke was a big supporter, as was President Obama, and Nancy Pelosi in the day, of Occupy Wall Street. And why? Because, she’s a left-winger and he’s an anti-Semite. And there was no denunciation of David Duke by the president or Speaker Pelosi. This is just a false equivalent. The point that I keep trying to make is that the Democratic Party, from its founding, is the party of race. People are obsessed with it. [At this point, Lord notes his 2008 article in The American Spectator, “Democrats: The Missing Years” in which he chronicles the Democratic Party’s history with racism and race: http://spectator.org/43179_democrats-missing-years/ ] They were on record supporting slavery and then segregation. They had six platforms that endorsed slavery; they had another 20 that either supported segregation outright or were silent on it. They opposed anti-lynching laws, they were the Ku Klux Klan, and the only difference now is, they do this with all races. They obsess about them; everything is race-based. The whole illegal immigration business is about skin color from their perspective. It’s always about skin color. I’m sure we’ll be talking about this with my friend Paul Begala on the 14th [the F&M Homecoming event “2016 Presidential Election Perspectives” with Jeffrey Lord and Paul Begala on Friday, October 14] but I just think this is the party of race and they want to create America in perpetuity based on race and I think it’s immoral and I think it’s wrong, you know, and I keep saying so. Who were you referring to when you said “and he’s an anti-Semite”? David Duke. Okay, I just wanted to clarify. And Donald Trump, for the record, just so you know, his son-in-law is Jewish. His daughter Ivanka is Jewish. His grandchildren are Jewish. He has executives in his company who universally say he’s never shown an ounce of anti-Semitism. Oh, yes I know. And I know this is out there already, but just so I can cover it for the audience at F&M, how did you first meet Donald Trump and how did you end up becoming a spokesperson for him? I had written about him in 2013. I had written a column called “Never Ignore Donald Trump”[http://spectator.org/53935_never-ignore-donald-trump/] and it was prompted because somebody at The American Spectator had written a little blog post saying that Donald Trump had said, maybe it was to Matt Lauer, that he might run for president in 2016. And this person at the Spectator wrote a little blog post saying “he’s always says this,” in essence that “he always says this type of thing and he’s never tried to do it so can’t we ignore him this time?” And I knew somebody who was a friend of Donald Trump and through that maybe they got my email because my email is always attached to my columns. I woke up one morning on a weekend to an email from him [Trump’s friend] about the post saying it was BS. I hadn’t seen the post so I didn’t know what he was talking about at the time. But I thought, you know, I’ll write about Donald Trump. I mean, I’ve read his books, I mean I knew who he was and everything. And to my surprise, a note came in to The American Spectator for me from Donald Trump thanking me for the column. And the point of my column was that he’s a very accomplished guy, and if he does run for president, don’t underestimate him. And then there were a couple of other columns that I did of my own initiative without any prompting by anybody on Trump University because I thought the New York state attorney was a scam artist. And so I did some investigating and wrote a column and some time after that to my surprise, on the Saturday of a Labor Day weekend in 2013 Donald Trump himself called me. [laughs] And you know how when you pick up the phone and somebody says hello and says something to you and you recognize the voice but you’re not quite sure who it is? And this voice says “Jeffrey?” And I said: “Yes?” And I was thinking to myself, “why do I recognize this voice?” And then he said: “This is Donald Trump.” And I burst out laughing, in all candor. And I said, “well Donald, you didn’t have to call.” And then we just started talking and talking, and we just hit it off. And unbeknownst to me, later the Spectator had selected him for an award that they give on occasion called the T. Boone Pickens Award named after the oil man, the entrepreneur from Texas. The American Spectator has a dinner, one of these Washington fundraising dinners, every year and they had selected him for the award and chose this other speaker for the event: Ted Cruz. [laughs] Which in 2013, who would have thought where this was going to go, right? So the Spectator asked me if I would introduce him [Donald Trump] and I said sure, and then I got a call from his office asking if I would come to New York and fly down with him to Washington. And I told them I’d get back to them, see what I could do here arrangement wise. To be perfectly candid, I was thinking of not doing it because I just live in Harrisburg, right? I’ve made this trip a zillion times in my professional career. And it’s only two hours away and I thought, “Why do this?” And by chance a cousin called, because you know I’m taking care of my mom who’s 97 and she called me to check on her and she said, “So anything new?” And I told her about the thing. And she said, “Wait, so you’re not going to do it?” And she says, “Look I’m coming to your house,” she lives in Binghamton, New York, and said, “I’m coming to the house and I’ll take care of her, you go, you go and do this.” I got up at the crack of dawn, drove to Washington, parked the car, took the train to New York, went to Trump Tower, they took me right into his office, he was in there reviewing some pictures of a golf course opening in the Bronx, as a matter of fact, that the city of New York could not get done and asked him to do and he got it done. There were pictures of him with Jack Nicklaus and Mayor Bloomberg and he was looking over everything with people. Then the other people left and he took me up to his penthouse there in Trump Tower and he went up to change his shirt. His security guy was giving me a sort of walk-through tour of his place—which is amazing, to say the least. [laughs] Then he came down, we hopped in a car, were driven to LaGuardia and got on one of his smaller planes, not that big famous 757, but a smaller one. And you know, we talked all the way. I mean, I was really genuinely interested to talk to him. He’s very charming, he’s very down to earth. My parents being New Yorkers themselves, and my entire extended family is from Eastern Long Island, culturally-speaking, it’s very easy to understand him. We had a funny moment on there because as we were getting ready to land he went to get up to freshen up and he sits down in front of me and he points to his hair and pushes his hair back and he says, “Now I don’t get it about the hair. Everybody’s fascinated about the hair.” And he pulls it back from his forehead, and it’s his hair, there’s no question about it, and he says to me, “I’m worth 10 billion dollars. Don’t you think with that much money, if I had a toupee, I could get a better one than this?” [laughs] Which I thought, you know, was very funny and I laughed. And then we get there and some of his staff people were there and picked us up. These were business people, you know, he wasn’t running for president at that point, and so these were business staffers from The Trump Organization. And what I found interesting was, you know, he’s suddenly in executive mode. And they had a project going somewhere in northern Virginia, a golf course or some such thing, and he’s peppering them with questions, what about this, what about that, what about access rights, all technical kinds of things that you have to do, he was very much the executive. And we got in there and went to the dinner thing and afterwards he said he’d call me and I thought, you know, “probably not,” but the next day he did call. And so ever since we’ve had this relationship. Do you think the public has been able to see him in “executive mode”? Do you think that they’re able to judge him appropriately? Well actually I don’t in some ways. I think what they see, and I understand why this happens because I worked for President Reagan and I saw this stuff at work when he was just candidate Reagan, I mean Ronald Reagan was a movie star, literally, and a television star—and people get swept up in this whole celebrity thing and tend to look at these people in that fashion without acknowledging their genuine abilities. I mean Ronald Reagan had been I think seven times the president of the Screen Actors Guild, in other words, the chief executive and was then the governor of California twice, and a successful one, those were important things. And Donald Trump has built this enormous organization which he runs and as he told me himself, his father told him not to go into Manhattan real estate because they were Brooklyn and Queens people and that Manhattan was, you know, the very upscale thing and it was very different and that he should just stay in Brooklyn and Queens and he didn’t want to do it. He tells me he had rented out an apartment in a Manhattan building, printed up cards that said “The Trump Organization,” and the only one in it was him. And then he set out buying and selling real estate and making himself what he’s become and I think a lot of people don’t see that. I think they see the guy from The Apprentice, the T.V. star, the T.V. personality. And I don’t criticize people for it—I just think it’s sort of a fact of life when you come out of that section of the world. It is what it is. If Trump is elected president, would you want to play a role in his administration? Or would you prefer to continue what you’re doing now? Well I really enjoy what I’m doing at CNN. I have a great time and it’s like a family, if you will. I’ve gotten to know all the different anchors’ personalities, and you know as it happens, like this happens in campaigns too, where people are sort of in a cocoon together as they travel around the country together and they do, in our case, all of these television shows and spend all this time together on camera and off camera—and I really enjoy it. I’ve been in the White House, I know what it is, you know. You have to be up at the crack of dawn and you get home late at night seven days a week and all of that kind of thing. So we’ll see down the road. But for the time being—I think I might just stick right here. 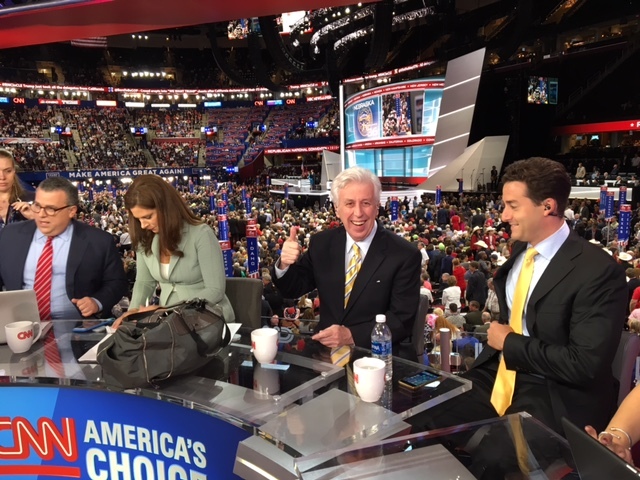 Lord on the CNN panel before going live, with CNN anchor Erin Burnett of Erin Burnett OutFront, at the 2016 GOP Convention in Cleveland, Ohio. As a CNN political commentator, you’re paid by just CNN then and not the Trump campaign, correct? Correct. That was always the case. I’ve never been paid by Donald Trump for anything. Right. And I was just asking because I think Corey Lewandowski has some kind of non-disclosure agreement. Right, and I don’t know what his agreement is but I don’t have that. I’ve never worked for the Trump campaign or his business. No, this was just me getting to know Donald Trump and listening to Donald Trump and to be perfectly candid, listening to people in central Pennsylvania where I live—now outside that “Washington-New York bubble”—and realizing that the kinds of things he was talking to me about and the kinds of things that I was hearing in ordinary, everyday conversation were, you know, similar. And I thought that if he ever did run, he would be a very, very powerful candidate because I had certainly sensed that he was expressing a lot of the sentiments that regular folks out there were expressing. And if the two ever came together, it would be a very powerful combination and that has proved to be the case. Knowing him on a personal level, do you completely approve of how he’s conducted himself during the campaign? Sure, I mean, here’s the thing that bothers me, that came to bother me, about Washington. And I worked there a long time and have a lot of friends there. Washington has become filled with what I call, for better or worse, the “political class.” And that applies to both parties, Republican and Democrat, and these are people, and I was one of them, they work together, they socialize together, they live in the same neighborhoods, they talk to one another all the time, and it’s like a bubble. And Donald Trump is not from that class, if you will. He is an outsider. And as such, some of the things he says are shocking to these people. But point and fact, these are things I hear from regular people. When he talks about illegal immigration, I mean I hear this kind of thing from regular people. When he talks about Obamacare—now that I have some name recognition or face recognition and I get stopped by people and actually some guy stopped me in the grocery store, he recognized me, and he had had a stroke, and he had to deal with Obamacare and this guy just went off about Obamacare and all the problems it created in his life—I mean, he was really upset—those are the kinds of things that I pay attention to. And I think the people inside Washington just don’t get it because they’re sort of sealed off from all of this. And so therefore, when Donald Trump says A, B, or C that upsets things, I think sometimes way too much is made of it and I think its part of this political correctness stuff which is just, to me, borders on fascism. That people are going to silence you if you don’t say things in a correct fashion. And it’s not just Donald Trump—you know, Rush Limbaugh said something and they want him off the air, or somebody says something and they’re going to throw him out of what, some college or baseball team, there was this guy who was just thrown off of the Seattle Mariners baseball team for the rest of the season because of some dopey tweet. I mean, I just think this is way out of hand here. And I actually think his political incorrectness is part of what fuels his campaign. That there’s so many people now that have experienced this in some fashion and it’s not limited to colleges anymore, it’s out there in the land and people don’t like it. You had told CNN’s Brian Stelter that the fact checking website PolitiFact’s fact checking analyses were an “elitist, media type thing.” What do you see as the role of the media in covering campaigns and do you think journalists and political commentators have a responsibility to fact check statements made by the candidate they are supporting? Do you have faith in any fact checking organizations? Oh yes, I believe very much in the free press. I mean, check away. But I’m just saying that some of these fact checking organizations have been looked into by different conservative groups and have been found to be liberally biased and are politically tilted, as it were. So that what is the “fact” is in the eye of the beholder and this discussion is being had for the debate tonight. I just don’t think that the moderator or moderators of these debates should be fact checking. I mean, there’s 300 million some-odd people in this country, we’re the fact checkers. Let the columnists write, let the pundits pundit, let the neighbors talk, let the kitchen talk begin tomorrow or tonight as soon as this goes off the air. But it’s not the business, in my view, for the moderator to do it. Let us do it. You do it, let your friends do it, let your parents do it, let all of America do it and then we’ll use our judgment. And it’s up to the other candidate, if they think something is not factual, to hold that candidate responsible—to go after them for it. That, to me, is the way you do this—not have some reporter, like Candy Crowley did correcting Mitt Romney, and I think it turned out her correction was not correct as I recall. So facts can be, as John Adams once said—President Reagan used to quote John Adams—as saying “facts are stubborn things.” But facts can also be not facts, they can be subjective presentations—which is what I was trying to convey. Pictured above: Jeffrey Lord with his former boss, President Ronald Reagan. Being on CNN, and as you’ve said, now that you have some recognition, or face recognition, and now that people know who you are and some of the things you’ve said and what you stand for, there has been a lot of criticism of you. And some of that criticism has been personal. Has any particularly harsh criticism of you had any impact on your personal life? How do you sometimes cope going on T.V. every night being exposed to that kind of criticism? No, it doesn’t. You know Harry Truman had a famous saying: “If you can’t stand the heat, get out of the kitchen.” And I’ve been around public life my entire life, my parents did it on a local level. And again, going back to the Kennedy thing, the Kennedys urged people, urged my generation, to jump in and do this and take the criticism. Robert Kennedy used to quote Oliver Wendell Holmes, I think that the quote is: “I think that, as life is action and passion, it is required of a man that he should share the passion and action of his time at peril of being judged not to have lived.” I believe that. So this is why I get along so well with a lot of my CNN friends who disagree with me, because I have total respect for them. Van Jones, Paul Begala— these are good, decent people. We just happen to disagree. And there’s more to life than politics. [laughs] You know, there’s a lot more to life than politics. So if people are going to criticize me, I mean, I’m fair game. I’m out there on my own steam and so be it, and so is everybody else for that matter. So do you find working at CNN stressful at all? F&M has a big Government Department, there are lots of GOV majors and people who want to go into this line of work—do you have any advice for how to cope with stress on that level for people who are maybe interested in exploring similar fields? Let the criticism roll off your back. If it’s sincere, good criticism, learn from it. If people are just being political, let the water roll off the duck’s back, as it were. My perspective is, that this all “wraps fish” [reference to the 1999 film Notting Hill]. It’s different in the age of the Internet, in the sense that it’s going to wrap Internet fish and it will be out there forever. But to be perfectly candid, if you’re so rattled by this stuff, you shouldn’t even be close to this kind of thing. Do you prepare for your appearances on CNN independently? Yes. Yes, I mean they’ll tell me, and others, that the topics are A, B, and C. And then I’ll do my own research on A, B, and C and be prepared when I go on. Do you ever go home after being on air and wish you had responded differently to something or made different arguments? Always. [laughs] Always. You always think, “Oh I should have said this or that.” And I think that’s fairly common. I mean if you work hard at this and you want to do a good job and you’re always thinking, you’re always replaying the night’s episode in your head. And you’re always thinking, “I should have said this or had this response.” But I don’t let that worry me because I think that’s pretty normal and I imagine everybody has some version of that going on. And I only have one more question, really. You’ll be here for F&M’s Homecoming weekend as a featured speaker on Friday, October 14th. Have you been back to F&M frequently? I was back a few years ago for my class reunion, for the Class of ’73. In the beginning I went every year because I had friends who were still there. But then the further you get from it, time-wise, you learn that unless you’ve got your own friends to sort of organize your own “lets go out to dinner” thing, then you sort of meld that together in whatever time you all have. What are you looking forward to when you come back here? Seeing old friends, seeing some of my old professors, those that are still around, and you know just walking around campus seeing what changes have been made since I was last there. And talking with anyone who wants to talk, you know, it’s a lot of fun. I’m looking forward to the discussion with my friend, Paul Begala, we’ll have a great time. And one more final thing, what do you hope students will get out of that discussion with Paul Begala? Oh, I think how to, number one, have a political conversation and still be friends, which we very much are, and then whatever political substance that they want to take from Paul or from me. All photos courtesy of Jeffrey Lord unless otherwise stated.